The Lawyer-Pilots Bar Association lost a distinguished member on Monday. David R. Mauritson of Fairhope, Alabama, was flying a Civil Air Patrol mission Monday evening when his airplane was reported missing near Mobile Regional Airport. It was determined after a search that his airplane had crashed and both he and his passenger had been killed. “David Mauritson was not only a lawyer-pilot, he was also a Harvard-educated physician who had flown many humanitarian missions over the years. He was a superb pilot and good man. His loss will be felt by his colleagues and so many people he had helped. Our heartfelt condolences go out to his family,” said Mark Pierce of Austin, Texas, president of the Lawyer-Pilots Bar Association (LPBA). Dr. Mauritson had been a pilot for over 50 years, having been taught to fly by his mother, who was a certified flight instructor. He became an instructor himself and taught his own children to fly. A former president of the Flying Physicians Association and a recipient of its Distinguished Service Award, Dr. Mauritson had over 11,000 hours of flight time and flew volunteer missions for Mercy Flight Southeast to give free air transportation for people who needed medical care but who otherwise could not get treatment. “Dr. Mauritson was a great role model for lawyers, doctors, and other professionals who converted a love of aviation into a mission for helping others,” Pierce said. Dr. Mauritson had been a member of the Lawyer-Pilots Bar Association since 2009. A message from Christopher A. Hart, Chairman of the National Transportation Safety Board regarding the passing of former National Transportation Safety Board Administrative Law Judge William Fowler. Everyone -- With great sadness I would like to inform you that Judge William Fowler passed away on Sunday, August 9, 2015, at the age of 93. 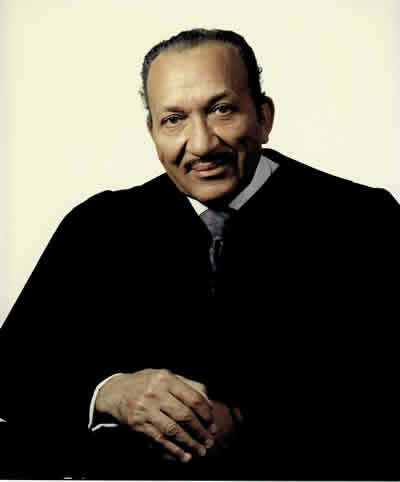 Judge Fowler served in the U.S. Navy from October 1942 to December 1945. After that, he had a long and distinguished career in administrative law. He began his civilian Federal career as a special assistant to Attorney General Robert F. Kennedy at the United States Justice Department in 1961. He worked on the Organized Crime task force investigating Mafia activity. In June 1969, he joined the National Transportation Safety Board as an administrative law judge. In 1977, he was appointed Chief Judge at the NTSB, and he continued serving in that position until he retired on May 3, 2012, after 53 years of distinguished service to the NTSB and to the American public. I have known Judge Fowler for several decades, even before I first came to the NTSB in 1990. He was always, and will always be, an inspiration to me, and he set a wonderful example for the entire Federal service. He will be greatly missed. A memorial service will be held for Judge Fowler at the Howard University Law School Chapel on August 29, 2015 at 11:00 a.m. I will provide more details about the memorial service at a later date, as I learn them. It is with great sadness that the Lawyer-Pilots Bar Association reports the death of Sustaining Member Albert M. Orgain IV of the Sands Anderson law firm in Richmond, Virginia. He lost his life on Friday morning June 27th, when his 182 flipped over during a forced landing in a field near Halifax, NC after he reported losing power to ATC. He was flying solo on a business trip at the time. Al was an active pilot and member of the LPBA who presented a panel at our Williamsburg Summer Meeting on state-level aviation issues and flew his 182 in the Spot Landing Demonstration there. He had recently returned to the position of Chairman of the Virginia Aeronautical Historical Society (VAHS) at its request, having earlier completed eight years of service in this position, and was a driving force behind its mission to connect people with the exciting story of air and space in Virginia. His antics as impressario “Fast-Tongue Al” at the annual fundraising auction at the wonderful VAHS Museum at RIC were the stuff of legend. 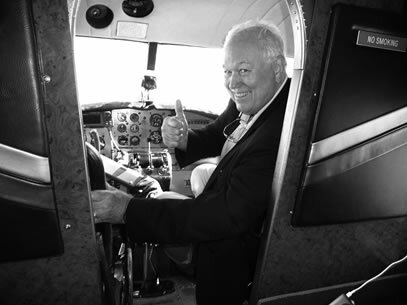 Though he was not one to mention it, his own career in aviation was sufficiently legendary to merit his induction into the Virginia Aviation Hall of Fame in 2010. After graduating from the Virginia Military Institute in 1965, he served in the Vietnam war as an Army helicopter gunship pilot and instrument flight instructor. His combat flying earned him two Purple Hearts and the two awards of the Distinguished Flying Cross, plus six Air Medals. He served as a Captain in the Virginia Army National Guard and did a tour as a helicopter pilot and Section Leader. His advocacy for aviation in his home state put him on a first-name basis with virtually everyone connected with its operation, regulation and promotion. After earning his law degree at Washington & Lee, he joined the Sands Anderson firm in 1972 and grew an active aviation and transportation practice there that, although concentrated in the mid-Atlantic, spanned the country. Flying was his first love, and on the firm’s video biography he repeated his credo, “I practice law so I can fly.” He had N182PE, his 1977 182Q, equipped with a Garmin GTN 650 GPS and Mode S/ADS B-capable GTX 330ES. He had recently committed the firm to pay for the pilot training of one of its new aviation partners. Al loved the LPBA and he and his lovely wife Jan were always glad to see their friends and make new ones whenever and wherever fellow members gathered. The Lawyer-Pilots Bar Association extends its sincerest condolences to Jan, the Orgain family, his firm, and to the many people from all walks of life who were touched by this open, gregarious, big-hearted man whose example of a life fully lived will touch hearts and inspire careers for years and generations to come. A funeral service will be held at 1300 on Wednesday, July 2nd at St. Stephens Episcopal Church, 6000 Grove Avenue in Richmond, VA 23226.